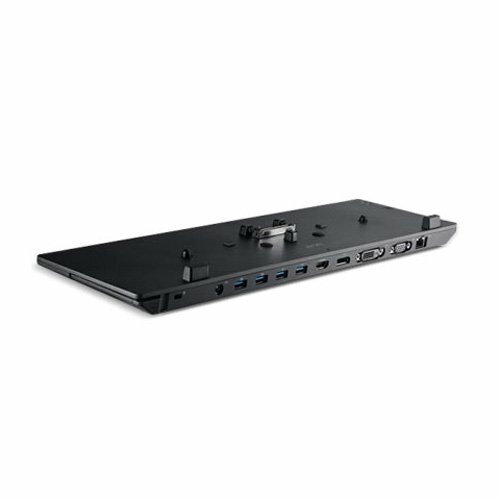 Audio line in: yes | audio line out: yes | total number of usb ports: 4 | number of usb 3.0 ports: 4 | network (rj-45): yes | manufacturer: acer, inc. Manufacturer part number: np.dck11.016. Brand name: acer. Product line: prodock iii. Product name: prodock iii docking station. Product type: docking station. [interfaces/ports] audio line in: yes. Audio line out: yes. Total number of usb ports: 4. Number of usb 3.0 ports: 4. Network (rj-45): yes. Vga: yes. Displayport: yes. Hdmi: yes. Dvi: yes. [miscellaneous] package contents: prodock iii docking station adapter us power cord .